Yes - Plan B Architecture provides Planning Application service in Kingston Council! If your property is in Kingston borough and you require planning application services then look no further than Plan B Architecture. Plan B Architecture has an extensive planning drawing and application experience for all London Boroughs. We can help you gain planning permission by giving you the Advice, Support and Documentation you need at each step of the way. If you plan to make changes to your house by maybe having an extension, loft conversion or any other type space modification done then we can help you. 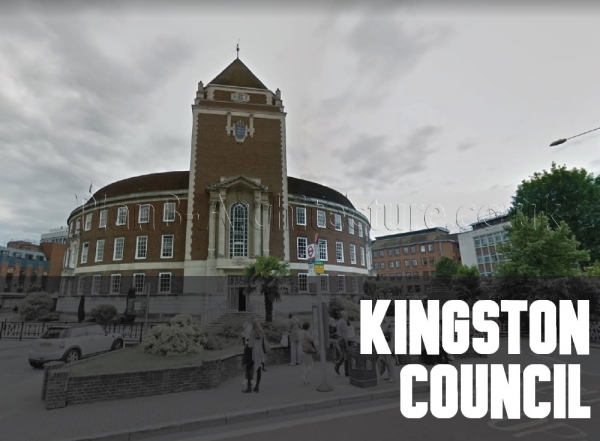 We provide a full planning package which includes designing the space, preparing the CAD drawings,preparing and submitting the application to Kingston council and tracking it till we get the final outcome. Call on 0208407247 for Planning Drawings and application service for Kingston Council. At Plan B Architecture, we have a depth of knowledge of the planning system and legislations which is the first and foremost requirement in preparation of the drawings and plans for planning department of your Kingston council. Any architect or draughtsman can design and prepare the plans but as a client you should ask yourself if they have the experience and knowledge of the UK planning system and legislations. A lot of applications fail or get refused every week due to badly produced drawings and plans, which are prepared by people who do not have any knowledge of the Planning legislations. At Plan B Architecture we specialize in householder planning drawings and have extensive knowledge in how to prepare drawings as per the guidelines laid out by the Planning System. As compared to other architectural companies our fees are tailored to suit the householders and we never have an open fee system or a percentage based fee system. Since we specialize in householder design and planning, we are aware of the amount of work required for such projects and the scale of the work. There is no point in having an open fee or a percentage based fee system as these are more suitable for large scale projects with lot of unpredictable. A lot of architects fees are open ended which is a big point of worry for the client as he or she never knows how much he will end up paying overall. So having a fixed fee at the beginning saves the clients from such anxiety and he or she can peacefully budget for the whole project. Also we are considerably cheaper than conventional Architects as we are aware of the level of details required for the Planning application and charge you only for that .With our experience we know that planning drawings do not require the same degree of detail as traditional Architectural Drawings. So you can be rest assured that at Plan B Architecture you will be paying a fraction of the price of traditional architectural companies. You may come across someone offering the architectural planning drawings service at extremely low rates. These are usually one man army who claim to provide everything at an unbelievable low cost. These people may be good at producing drawings but are usually ill informed of the latest legislative practices when it comes to Planning Policies. Quite often these one man band service providers work for cash and do not have any established companies. We know of numerous clients who have been left high and dry after being hooked by a low price and then left mid way of the application process. In the end these clients ended up paying far more and not to mention the anxiety and tension they had to go through. With an established company like ours you can we be well assured that your job will be dealt by a team of professionals who will see it right through the end. We work on fixed price basis and will always make you aware of the possible extra work or costs if we anticipate it. As we deal with so many householder projects we are constantly aware of the ever changing legislations and regulations which we eventually incorporate in our drawings to help you get a successful outcome. This is our profession and we take it seriously. At Plan B Architecture: We value our customers!